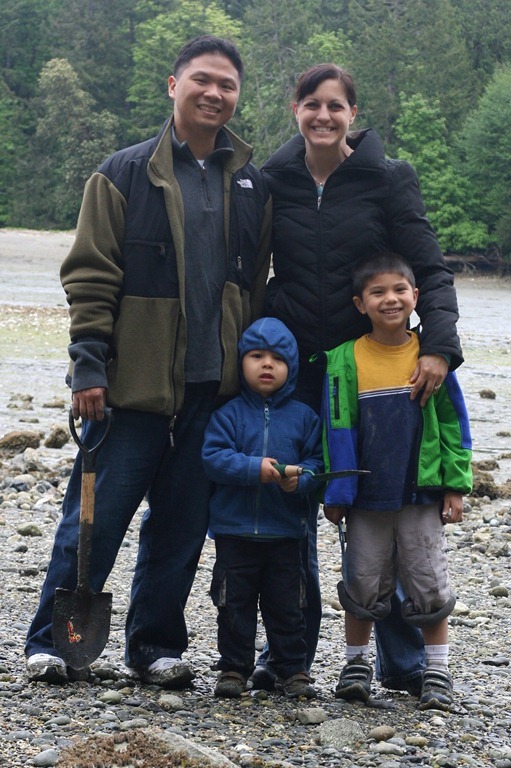 We went to Penrose State Park for a few hours today during low tide. If you like clams, this is a park that’s not too far away (1 hour from Federal Way) and chock full of clams. 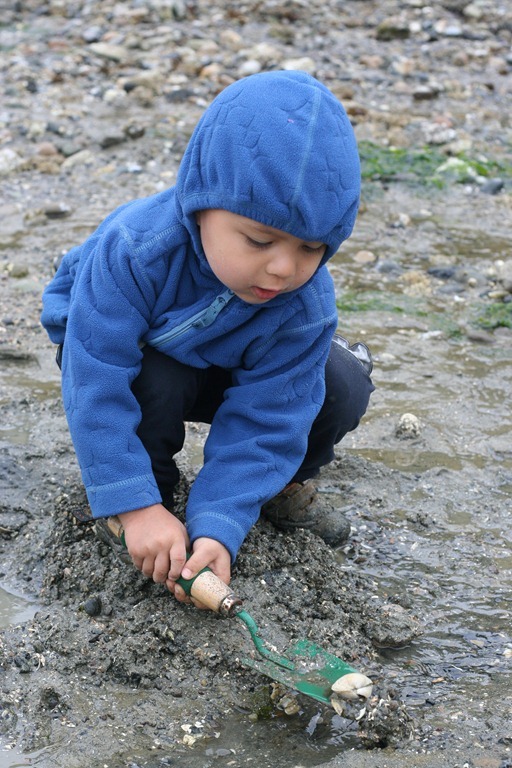 They are open for clamming until May 31st. Just be sure to show up at low tide. 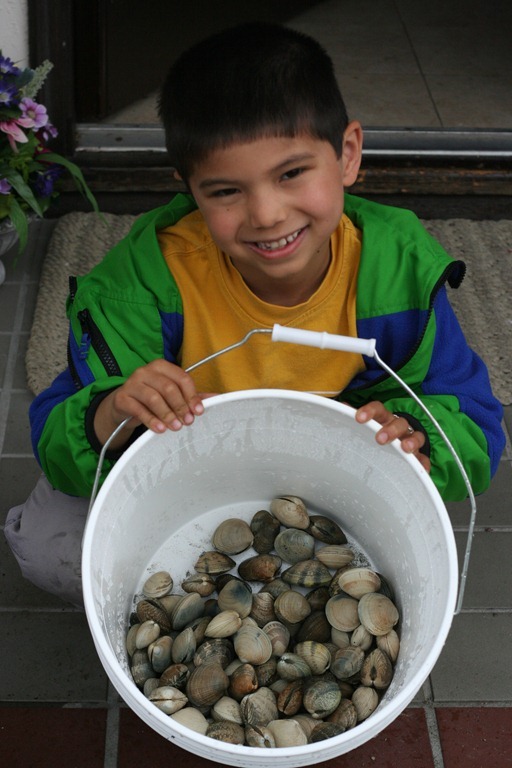 Each clammer can take home 40 clams. 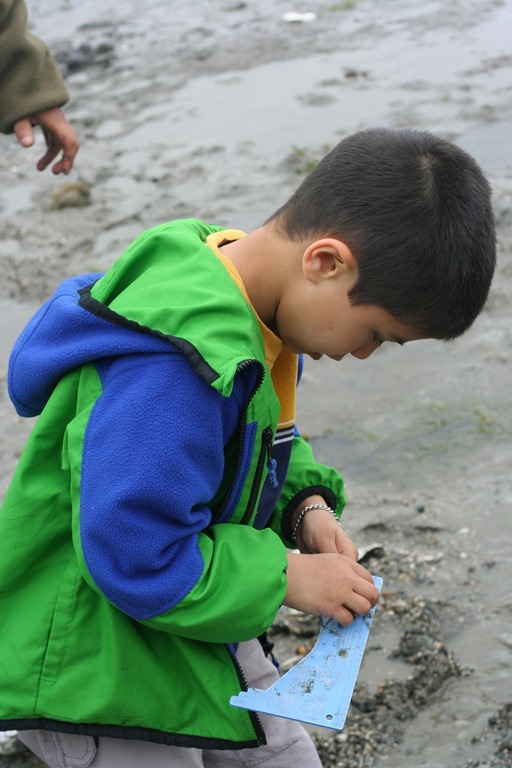 Kids can clam without a license as long as there’s a licensed adult with them. Our first 40 clams took about an hour as we were trying to figure out where the clams were, and how we were supposed to dig them up. A good beginner strategy is to go look around at what other people are doing and where they are digging. It seemed like we had our best luck right where the pebbles ended and the sand began. Our last 40 clams took about 10 minutes to dig up. 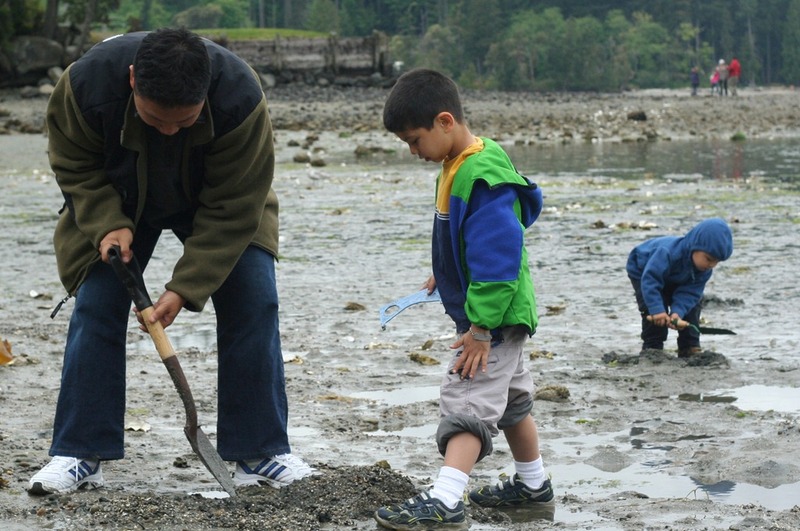 Every shovel full was bringing up about 4-6 clams. 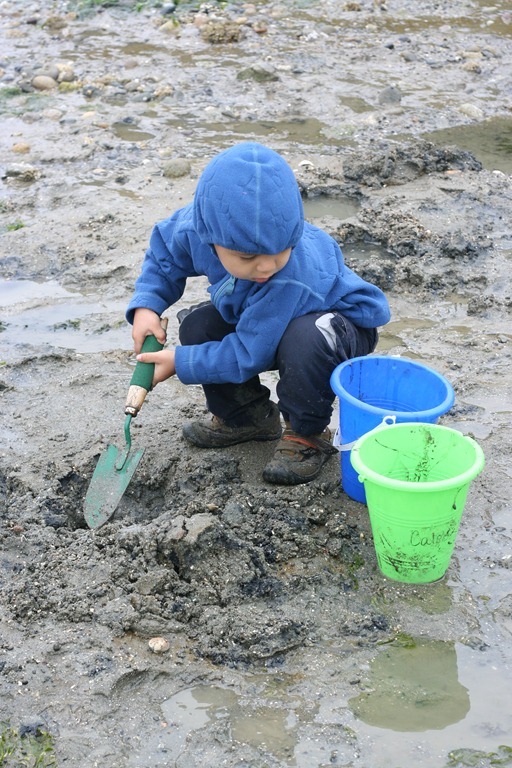 In the right areas, Andrew was digging up a clam every few minutes. 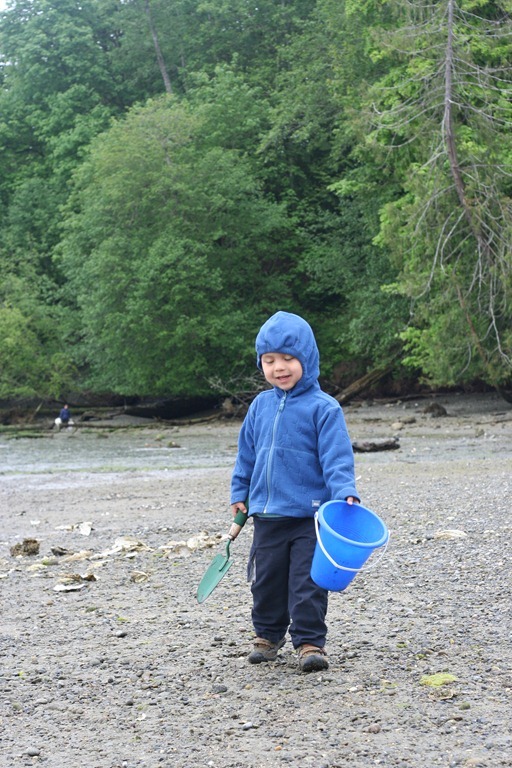 Caleb was our expert clam measurer. 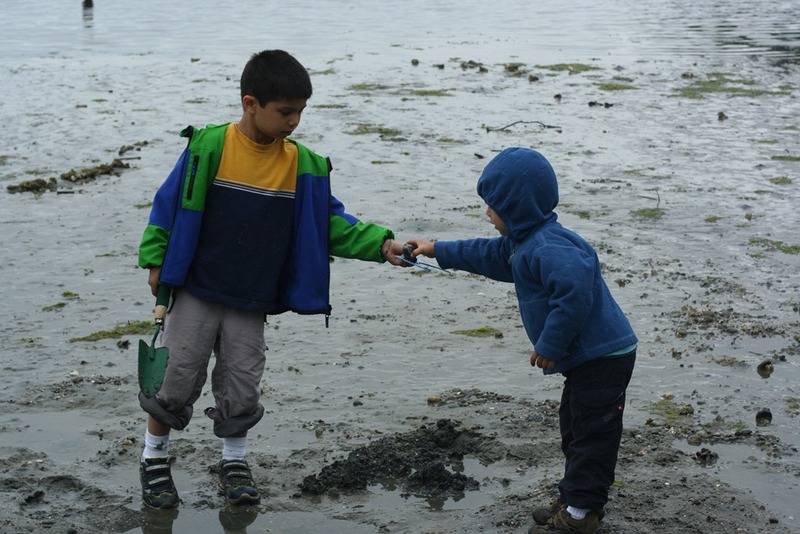 Andrew and I would dig up the clams, then Caleb would measure them to make sure they were within regulation size. (1.5” on its longest side.) Next time, I’m going to wear boots and bring a bigger shovel. We caught our limit of 120 clams between Caleb, Andrew, and me. We like to let them sit in fresh water for about a day or two, so they spit out all the sand. We’ll probably steam them tomorrow and eat’em with a little butter. yum yum.